Scenic town suspended at 1,800 meters above sea level in the northernmost point of Lombardy, between the Swiss and the Italian borders. 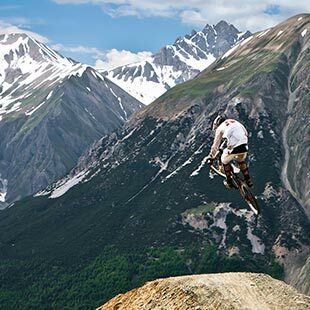 Until a few years ago, Livigno was a little-known destination among cyclists. 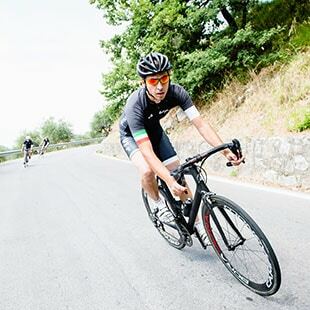 However, it took very little for it to become a favourite spot for road bike and downhill lovers, thanks to the many professionals who come here to fine tune their preparation before the end of the season and to the presence of the Mottolino Bike Park (which offers 13 trails, an inflatable for trying out jumps, a jump area and many other facilities) and the many trails that criss-cross the Carosello 3000 Mountain Park. 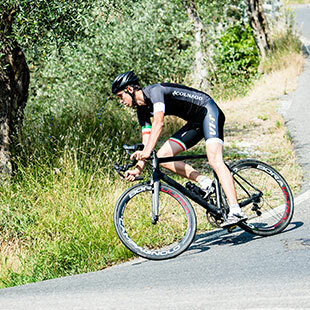 Here, in whatever direction you decide to point your bike, the watchword is “climb”: long, steady climbs with mostly regular slopes averaging around 7%. From Livigno it is possible to cross over into Switzerland or to reach the Stelvio Pass via Bormio. 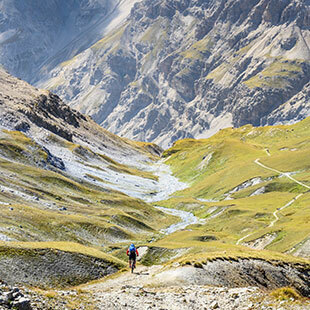 How many peaks are you able to conquer? Signature dish of the traditional Valtellinese cuisine consisting of “tagliatelle” noodles made from buckwheat and wheat flour. Mashed potatoes, beans and green beans tossed with butter and typical local cheese, such as Casera. 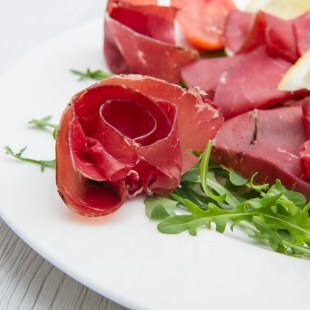 Raw cured meat, consisting of a whole non-smoked section of beef. The one produced in Valtellina is protected by the PGI (Protected Geographical Indication) designation. 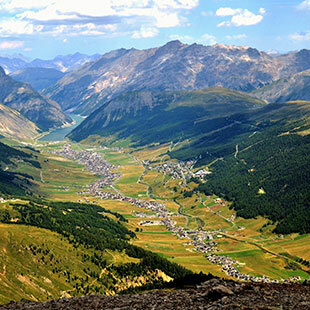 The first historic traces of permanent and organised inhabitants in the Livigno area date back to the 1300s. Those who settled here obtained permission from the neighbouring Graubünden people to sell their agricultural products in their markets, in exchange for the permission to import black powder and salt free of the duties applied to other neighbours. 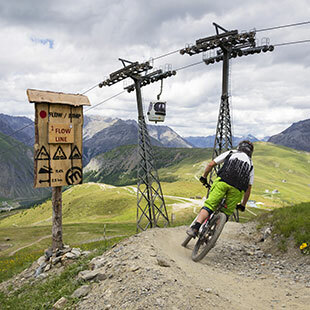 Since then, and still today, Livigno is a duty-free zone only accessible from Valtellina through the Foscagno Pass (open all year) or from Switzerland through the Livigno Pass (accessible only during the summer).